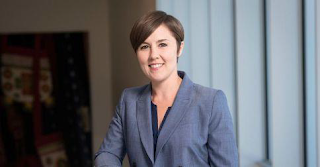 Associate Professor Jessica Stanton explains why civilians become targets in civil war—and what should be done about it. This spring marks seven years of civil war in Syria. The scale of devastation is enormous. The United Nations estimates that more than 400,000 civilians have been killed in fighting, while 5.6 million are now refugees and another 6.1 million have been displaced within Syria. Civilians are not simply the unavoidable casualties of this long and complex war. They have been intentional targets of violence from the earliest days of the conflict. According to the UN’s Independent International Commission of Inquiry on Syria, all parties to the conflict have violated international laws of war that prohibit deliberate attacks on civilians. Extreme violence against civilians is all too common. In the more than 100 civil wars between 1989 and 2010, nearly 50 percent of governments and 60 percent of rebel groups targeted civilians with severe forms of violence—massacring them, deliberately bombarding residential areas, burning homes and crops, or forcibly expelling people en masse from particular territories. In the face of such violence, it is easy to overlook the fact that more than 40 percent of governments and rebel groups did not engage in large-scale attacks on civilians. Among them were the government of Nepal during its confrontations with Maoist insurgents in the 1990s, the British government in its decades-long fight against the rebellion in Northern Ireland, and the Algerian government during operations against Islamic insurgents. Rebel groups struggling to overthrow the Vietnamese-backed government in Cambodia during the 1980s and 1990s did not attack civilians either, nor did insurgent groups fighting the Indonesian government to gain independence for the regions of Aceh and East Timor. In these and many other cases, restraint toward civilians was a deliberate strategic choice. Abiding by international standards was a means of appealing to domestic and international audiences for diplomatic support. Most targeting of civilians is also a strategic choice. Governments or rebel groups calculate that attacking civilians will improve their position in the war. They target civilians whom they believe support the opposing side, hoping to undermine this source of support or to make the war more costly, amplifying military losses by adding civilian casualties and suffering. To say that violence against civilians is strategic is not to say that it is justified—intentional violence against civilians is prohibited under international law as well as widely condemned. In fact, governments and rebel groups are often well aware of the international legal prohibitions on targeting civilians, and they expect to face criticism and even consequences such as arms embargoes or economic sanctions in response to their violations of these international standards. However, they calculate that they can withstand these negative consequences and that their core supporters will continue to back them even as atrocities mount. This is one reason why, over the past seven years of conflict in Syria, the regime of President Assad has failed to rein in violence against civilians. Assad’s dictatorship relies on a small segment of the Syrian population and Russia. Absent pressure from either of these backers, no amount of international condemnation from others is likely to halt the atrocities. When a government or rebel group is unresponsive to domestic and international pressure and when foreign governments are unwilling or unable to intervene militarily, the best that can be done is to end the conflict through a negotiated agreement implemented with aid from international actors such as the United Nations. Ending a complex and violent civil war is not an easy task, as years of unsuccessful negotiations in Syria attest. More hopeful are cases where governments or rebel groups believe that support from the international community is crucial to their ability to remain in power. Thus, the United Nations and foreign governments should offer significant positive inducements—for example, aid packages or peace agreements with favorable terms—to powers exercising restraint. If governments and rebel groups believe they stand to gain from treating civilians well, they will be more likely to do so. 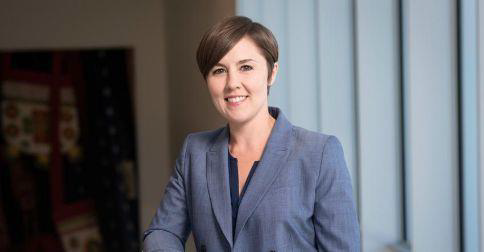 Jessica Stanton is an associate professor in the global policy area and author of Violence and Restraint in Civil War: Civilian Targeting in the Shadow of International Law (Cambridge University Press, 2016). This piece was originally published in Humphrey magazine.